THE world has been told Qatar's support of terrorism is behind the Middle East's biggest diplomatic crisis in decades. While Qatar has been accused of harbouring and financing terrorism and destabilising the region, Saudi Arabia has other reasons for pulling its neighbour into line. According to Middle East expert Dr Ben Rich, Saudi Arabia and six other nations cutting ties with Qatar isn't really to do with terrorism at all. On Monday, Saudi Arabia, Bahrain, Egypt, the United Arab Emirates, Yemen, Libya and the Maldives all severed diplomatic ties with gas-rich Qatar, which has been accused of supporting Islamist groups, including some backed by Iran. "This is really more about geopolitics," Dr Rich, a lecturer from Curtin University's Department of Social Sciences and Security Studies told news.com.au. Dr Rich said the terrorism justification was in many respects a veneer, or an excuse, for Saudi Arabia to justify the dramatic action to the West - especially the US. "This is about how Qatar is pursuing its own path and interests apart from the GCC (Gulf Cooperation Council)," he said. He said Qatar, and its support of Islamist organisations such as the Muslim Brotherhood had long been a thorn in the side of Saudi. Along with other Islamist backers, they are seen to undermine security in the region. But Dr Rich said that argument was questionable given many of those terror links weren't exactly a direct threat to Saudis. He also said Saudi Arabia was conveniently ignoring the fact that it, too, has supported various terrorist organisations. He said that excuse was wearing thin for those who knew more about what was really going on in the region. He pointed out the Saudi media had launched a smear campaign against Qatar for at least the past month and this dramatic cutting of ties with by the Gulf states was planned and timed. According to Dr Rich, "Qatar is on Qatar's side" and does everything in its own interests. Saudi and Iran are undoubtedly the biggest power players in the Gulf, while Egypt and Turkey are second tier players supporting different sides. Iran has a population twice the size of Saudi and is also more unified than its rival, which helps explain why Saudi relies on its Gulf allies more. 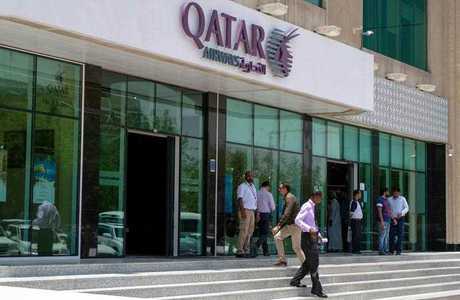 "Qatar has typically backed the Muslim Brotherhood which the Egyptian government regards as a terrorist organisation," he said. 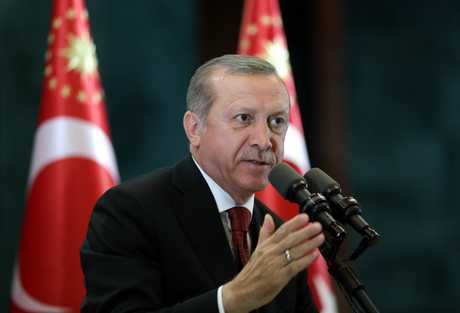 "The Turkish President Recep Tayyip Erdogan has said he will back Qatar and Iran has said it will give some support to Qatar. 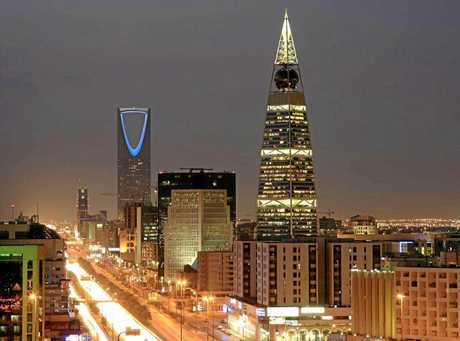 "Kuwait has been pulled in on the side of the Saudis. "But at the end of the day Qatar has effectively isolated itself from the other (Gulf) states which have common interests." Saudi Arabia and its Gulf allies may also have felt emboldened by Mr Trump's visit, which saw the new president clearly align US interests with Riyadh and lash out at Iran. Qatar's independent streak that has often angered its neighbours and the emirate has directly and indirectly supported Islamist groups across the Arab world. Qatar has also been criticised for supporting Islamist rebels in Syria, and in 2013, the Afghan Taliban opened a Doha office. "The whole line about terrorism is really a distraction, there is a very big shift in anything we have seen previously," he said. "This is a really big coalition effort and is them saying 'we've had enough of your independence and pursuit of your interests separate from the wider group. You might have money but fall in line or we can make life very difficult for you." Dr Rich said Qatar has tried to play on both sides in the powerplay and "hedged a bet either way". He said Qatar hopes its leverage as a rich nation puts it in the best position once the competition between Saudi and Iran is resolved. However this has appeared to backfire. "Qatar is the wildcard in the region," Dr Rich said. 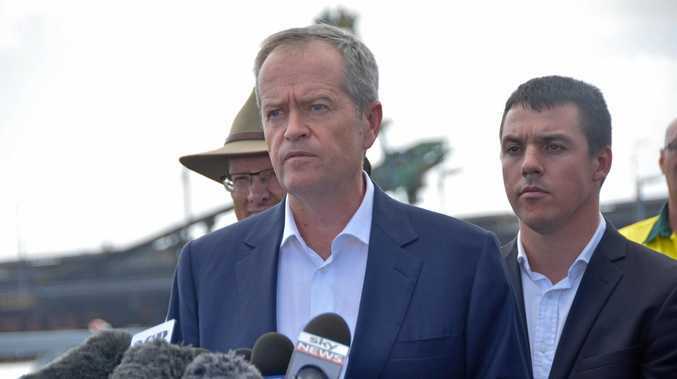 His views come as Bahrain Watch co-founder and Gulf Researcher Dr Ala'a Shehabi told news.com.au the crisis was about "breaking bones" for the isolated state. He said it was a case of Saudi basically forcing Qatar to choose between it and Iran. "This was definitely planned and orchestrated and choreographed," he said. The seven nations accuse the tiny Gulf state of harbouring extremist groups and suggest Qatari support for the agenda of Saudi Arabia's regional archrival Iran. Qatar foreign minister Sheikh Mohammed bin Abdulrahman Al-Thani has denied any Qatari funding "of terrorism". But while Qatar denies this, the isolated state is indeed sheltering and financing extremists and terrorists, the Counter Extremism Project has revealed. The New York-based organisation has released two detailed reports on the extent to which Qatar is harbouring extremists and terrorists. The CEP said Qatar "knowingly permits internationally-designated or wanted terrorist leaders and financiers to operate within its borders" and in doing so undermines regional and international security. Mr Trump has offered to personally broker a resolution to the escalating diplomatic crisis, as both he and Qatar looked past his pointed suggestion only a day earlier that the tiny nation enables terrorism. 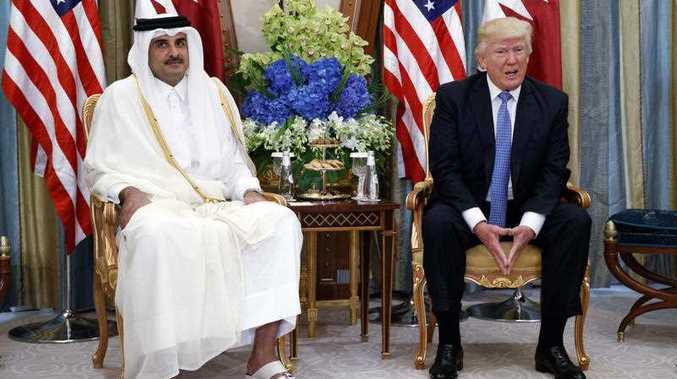 In a phone call with Qatar's Emir Sheikh Tamim Bin Hamad Al Thani, Mr Trump said he wanted to help Qatar and its Arab neighbours resolve the row that has up-ended any sense of Gulf unity, suggesting a possible White House summit among leaders. Mr Trump said countries must eliminate funding streams for terror groups while the White House said he focused on the need for the region's various US allies to stick together. This wouldn't be the first time Gulf countries previously recalled their ambassadors from Qatar.